On a warm summer's night, we are drawn to this cooling oasis, where yarns are spun and legendary tales come to life. Where the sands of time are turned back, and bold adventures resurface. And though meals are no longer served here as they once were, and though the storytelling is by spoken voice instead of performance art, Aladdin's Oasis still beckons. What secrets might be found by exploring this old, wizened place? 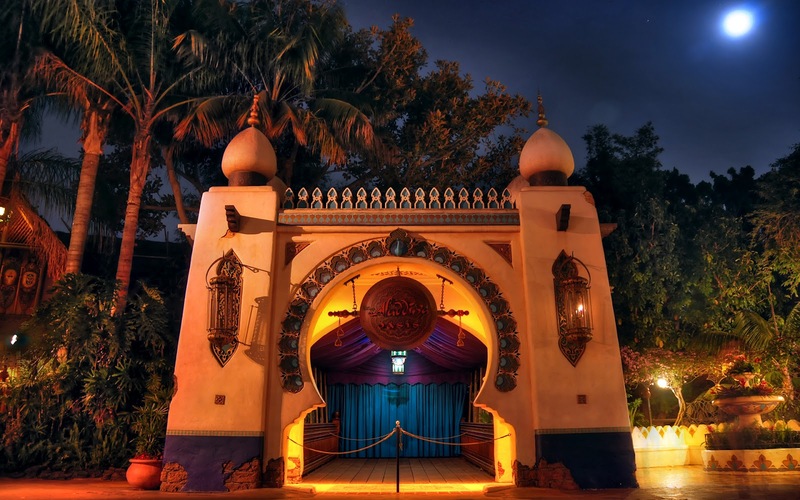 Aladdin's Oasis in the middle of the night.